Informasi Lowongan Kerja Medan di PT Belawan Indah is the biggest and most established land transportation company in Sumatera, providing a comprehensive logistic service for import, export and domestic cargo for cities and town in Indonesia. 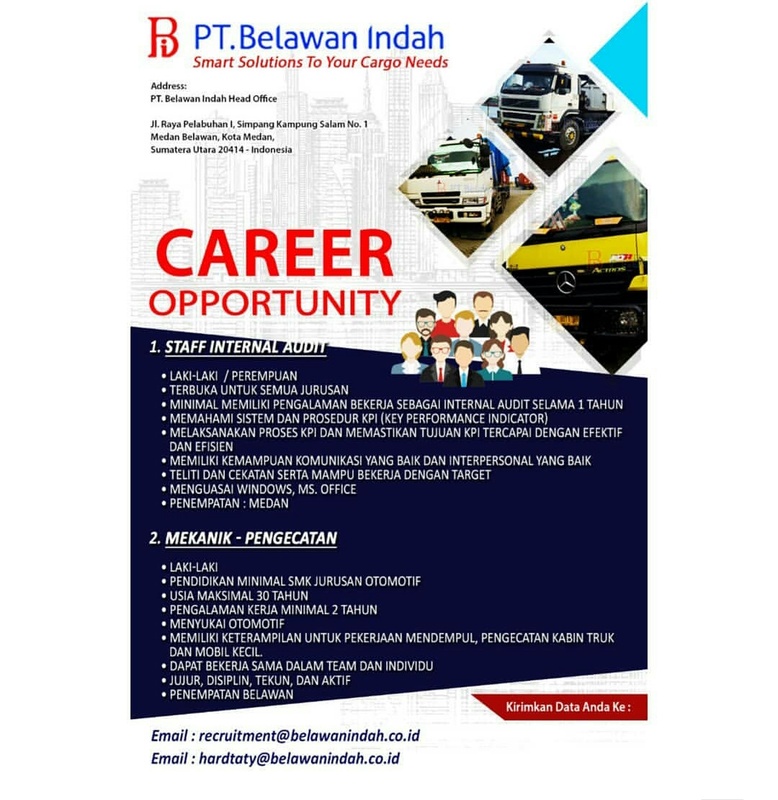 Belawan Indah promotes team spirit and professionalism at work. We consistently upgrade our trucks and equipments to give the best service as well as to respond to changes in market demand thus focusing on maximising client's value.